If you do not recall, last week I made a big pot of chili. To accompany the chili, I made cornbread. I despise dry cornbread and this recipe makes the most moist cornbread ever! 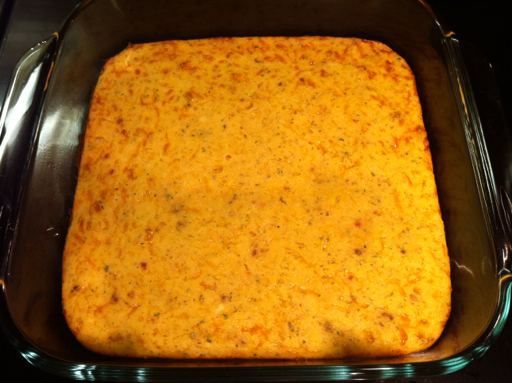 This recipe originated from the back of the Gladiola Cornbread mix however I added an ingredient and made it healthier!! It is so yummy! Spray nonstick cooking spray into a square Pyrex dish or 8 inch oven-proof skillet. Place in the oven for 7-8 minutes without the cornbread mixture in it to get the dish hot. 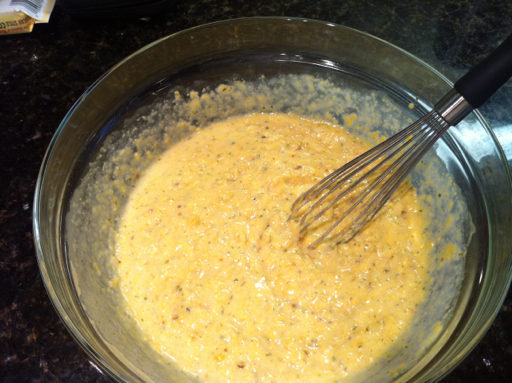 Remove dish from the oven and fold the cornbread batter into the hot dish. Cook for 20-25 minutes until the edges of the cornbread turn a golden brown. Enjoy! Try not to eat the whole pan by yourself! !